When dealing with your teenager, does this sound familiar? "What ever happened to that sweet little kid we used to have a few years ago?" Teens can be difficult, and this should not be surprising, considering all the changes during adolescence that they go through. You will need to up the ante on your patience to be able to cope with them. Even though you were once a teenager and may have been difficult to your parents, it still takes a lot of effort to understand what your teen is going through. It will be your responsibility to bridge the communication gap between you and your child. This is not always easy, and you will have to do your best during two crucial periods in your child's life - adolescence and young adulthood. Your children will need all the guidance and understanding you can provide. Communication and understanding, during these sometimes trying times, may very well set the tone for the life decisions your child will make. Learn what your teen enjoys. teens, you will have to work extra hard to learn about what your teens like. It may not be easy, but being able to relate to your teen's likes and dislikes is integral to building an open and meaningful relationship with your child. Being strict is not a bad thing. Most teenagers bristle at rules and restrictions. They feel that they are old enough to take care of themselves. While this is partially true, teens still have a need for restrictions. With new found freedoms and desires, they could very well hurt themselves if they do not restrain themselves responsibly. Make your teen understand that he or she will be given greater freedom, but with greater freedom they must develop greater responsibility and accountability. Freedom without responsibility is useless. Make sure you help your teen learn to plan ahead. You do not have to plan it for them; just help guide them to make good decisions on their own. Communicate daily. Daily communication is important in keeping the channels of concern open. You teen will be more inclined to confide in you if you engage in daily conversation. Confiding in someone takes some practice and some trust. This can only be built by meaningful relationships that are facilitated by good communication. Learning to understand the world your teen lives in will put you in a better position to not only gain their trust, but to have a greater understanding of their overall behavior. Daily communication will show your teen that you care for him. This is a very important teen parenting factor, since teens will feel more comfortable with parents that are actively involved with them. In the absence of parental involvement, teens may turn to unreliable peers when looking for guidance or comfort. 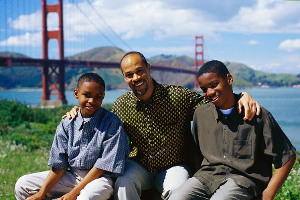 It is very important for a teen's parents to provide the guidance and caring they require.